You may picture wealthy Gen Y and Millenials as iPad-toting jetsetters who aren’t anxious to tie up their cash in a home. 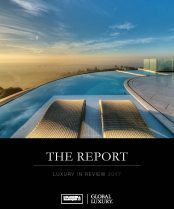 But they are among the most active players in luxury real estate, according to a new survey of ultra-wealthy consumers by Coldwell Banker Previews International® and the Luxury Institute. 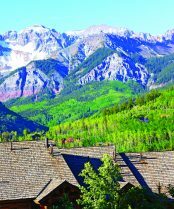 The survey found that 73% of wealthy consumers under the age of 35—the most out of any age group—are considering a purchase of additional residential real estate in the next 12 months for personal use. These buyers also expect their home to appreciate by an average of 16% in the next five years, compared to 13% for buyers ages 45-64 and 11% for buyers 65 and older. Additionally, they are among the biggest spenders, as they paid $7.8 million on average for their last home, compared to $6.8 million for buyers between 35 and 44 years of age, $2.7 million for those between 45 and 64, and $1 million for buyers 65 and older. One reason for the price difference could be due to the kinds of homes they desire. Nearly three-fourths (72%) of respondents younger than 35 said that buying a move-in-ready home is important. 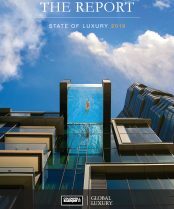 While location and price remain the most important elements in the decision making process for the majority of ultra-wealthy buyers, younger affluents are less inclined to choose a property based on geography. Thanks to convenient travel options and the ability to work from anywhere becoming more widespread, just 25% of the under-35 group reports that location dominates their search criteria, but 75% say that lifestyle considerations drive their choice of which home to buy. At the other extreme, 88% of buyers 65 and older say that location is the most potent driver of their next property search. 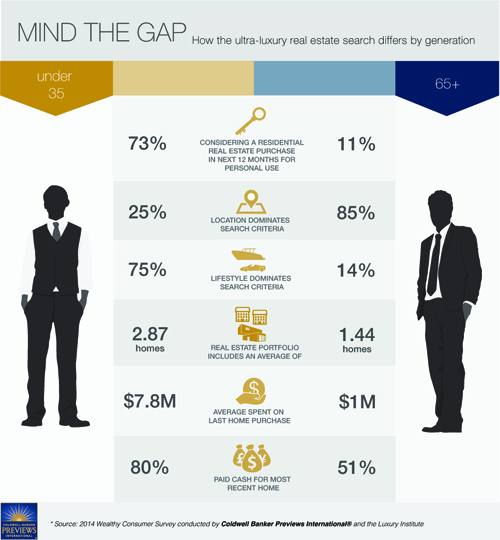 Younger affluents are also interested in different home amenities than their seasoned counterparts. Safe rooms (37%), home theaters (36%), pool (34%), outdoor kitchens (33%) and “green” or “eco-friendly” amenities (29%) remain at the top of the wish list for buyers under the age of 35. Compared to the 65+ demographic, those same features ranked far lower: 7% wanted safe rooms, 12% wanted home theaters, 16% wanted a pool, 17% wanted a pool and 10% wanted a “green” home. To find more interesting comparisons between the age groups, download the complete Wealthy Consumer Survey above.